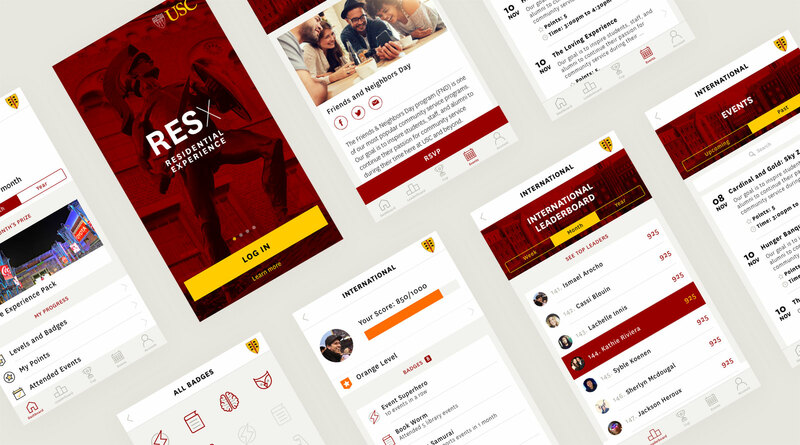 A mobile app for iOS and Android platforms that encourages participation in events, friendly competition, and discovery through gamification and social media interaction. 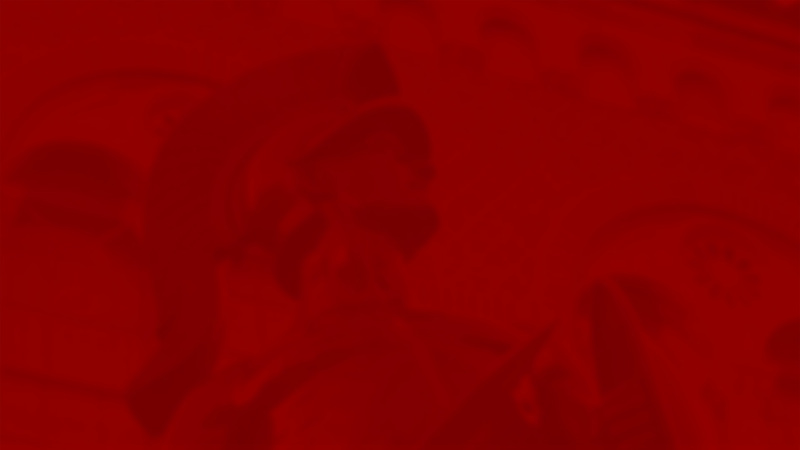 The University of Southern California (USC) is a pre-eminent private research university located in Los Angeles, California, with over 18,000 students enrolled in the four-year undergraduate program each academic year. USC provides on-campus housing for approximately 7,500 undergraduate students, and an additional 2,500 will be coming online in 2017­-2018 with the launch of The Village, an exciting residential community. USC freshmen are truly digital natives. They have never known a world without the Internet, and have had access to smartphones and social media apps since the 4th grade (the iPhone was released in 2007). 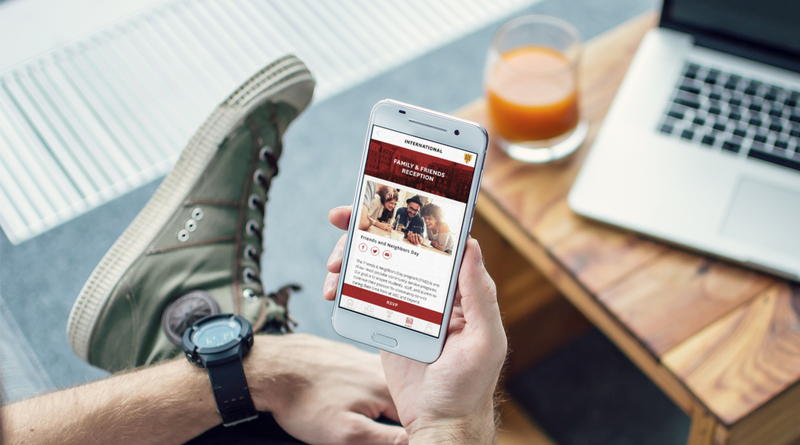 How can technology be leveraged to guide new and returning students towards engaging in on-campus events, exploring the ity of Los Angeles in a meaningful way, and developing a sense of community within residential groups? 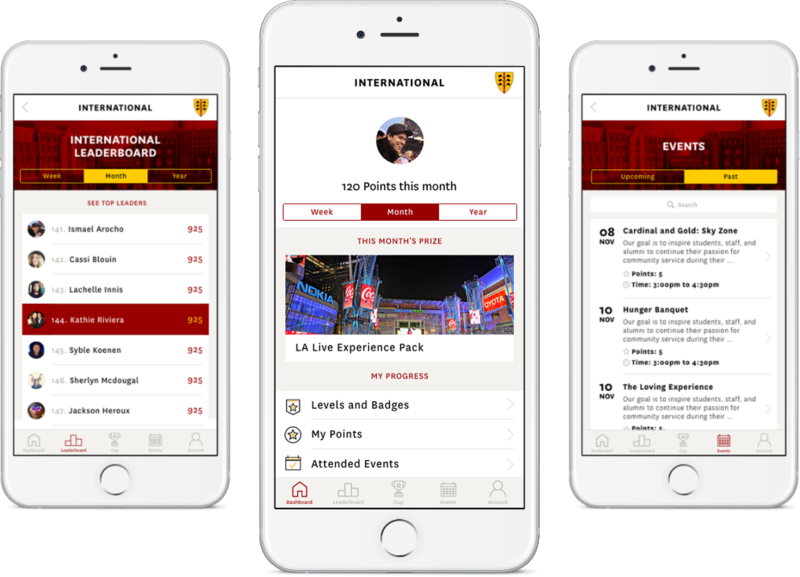 USC and Urban Insight developed an easy-to-use mobile app for iOS and Android platforms that encourages participation in events, friendly competition, and discovery through gamification and social media interaction, all through an intuitive interface.